How exactly does a garbage disposal work? What should I not be putting down my garbage disposal? If my garbage disposal stops working, what can I do? 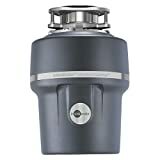 We have already explained benefits of garbage disposal and how to choose the right one in our best garbage disposal reviews. Today, we are going to walk you through a quick tutorial of how you can start using your garbage disposal properly, what you should be putting down your garbage disposal, and what you should not be putting down your garbage disposal. Here is a quick tutorial for how you can use your garbage disposal effectively, and maintain it in high working functionality, for years to come. Are you familiar with the phrase “use it or lose it?” Just like your car, your muscles, and your brain, if you don’t use your garbage disposal will decay. If your garbage disposal is not being used, it can start to corrode, build up rust, and the parts can actually wear out faster if you aren’t using them regularly. Or, if you have left debris inside of your disposal, food can start to clog it and cause an unpleasant stench in your kitchen. Even if you don’t have any food debris to grind up in your disposal, you should run the disposal with the disposal while the sink is running, at least every few days. To make it easy to run the disposal, you can install a garbage disposal air switch which uses air pressure as opposed to electricity to switch the unit. Learn more about a garbage disposal air switch. When you are running your garbage disposal, make sure that you are running cold water when you are grinding up your food debris. Now, hot water is great for most things, especially when it comes to washing your hands, taking a shower, or cleaning off the dishes. When it comes to your garbage disposal though, colder is better. Hot water can melt food in your garbage disposal, and make it stickier. The last thing that you want to corrode your garbage disposal, is hot sticky food that melted to your grinding components. Cold water will will actually cause your food debris to contract, and harden, which will make it much easier for your garbage disposal to grind up and pass through it. Even after you are sure that all of your food and food debris have been ground up by your garbage disposal, keep it running for about one minute. By running your disposal with cool water for a minute or two after your food has passed through, will make sure that your disposal is totally clean and empty. This helps you keep your drain pipes totally clear and prevents clogging. Run some cold water and dishwashing liquid down it too, to make sure that you are keeping it clean. One great way to make sure that your disposal has an easier time grinding up your food debris is to break your food down into smaller chunks. Think of it like chewing. It is going to be much easier to swallow your food if you chew it more, than if you just take a couple of bites and try to swallow it. 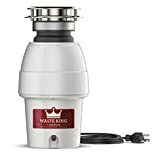 Make sure that you grind up your food or food debris or chop it into smaller bits will make your garbage disposal last much longer, and make it work much effectively. Throwing some lemon, lime, or orange peels into your dishwasher is a great way to clean it and keep it fresh. The acid from the citrus will clean out the components, and the scent will keep your disposal smelling nice and fresh. What You Should Not Put in Your Garbage Disposal? Big bones or pieces of bones can easily clog or damage your disposal. Make sure that you are putting larger bones in the trash. Overall, it isn’t really that difficult to use and maintain your disposal in good working shape. 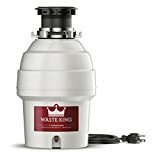 There are some small things that you can do that will go a long way when it comes to preserving your garbage disposal and making sure that it does not deteriorate it faster. Make sure that you run it often, with cold water, and throw some citrus peels in anytime that you get the chance.